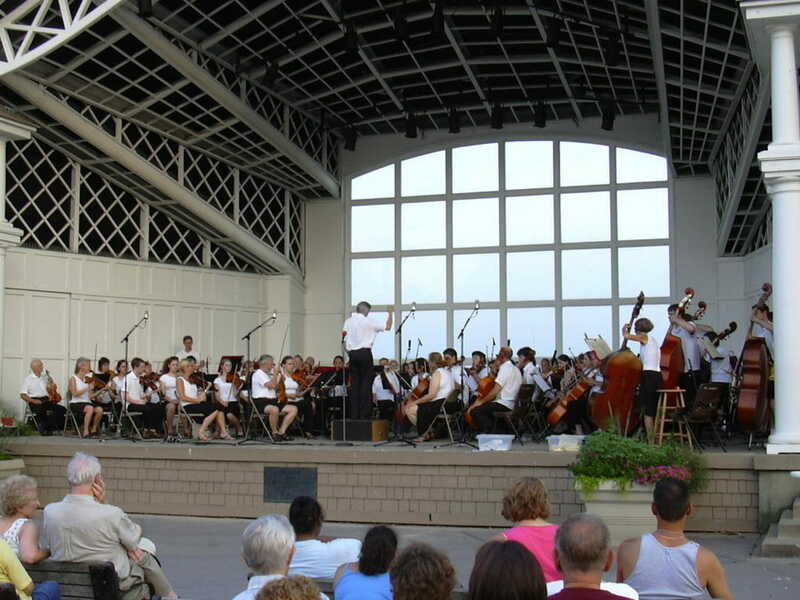 Each July the Pops performs ten concerts at the beautiful Lake Harriet Bandshell. Programs include a mix of light classics, movie music, popular songs, marches, Strauss waltzes, and Broadway medleys. For our 70th season, we are proud to welcome back area high-schoolers for Kids Play! Check our Events Calendar for a list of this year’s concerts. Performances are free and open to all. In addition to the benches in front of the bandshell, there is ample seating on the grounds surrounding the bandshell, so feel free to bring a blanket to sit on, a picnic, lawn chairs, or simply pick your favorite patch of grass! 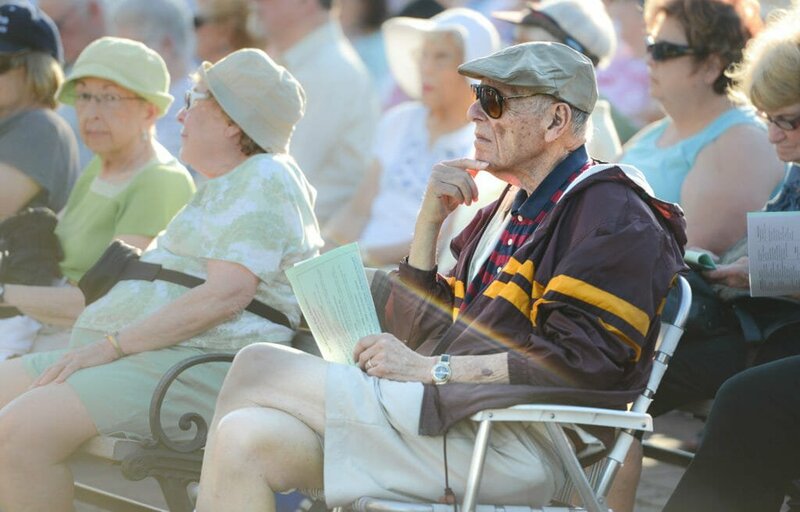 The Minneapolis Pops Orchestra continues its tradition of presenting Free Concerts for Seniors at the Nicollet Island Pavilion and Elliot Park this year! Large groups should contact Marilyn Ford via email at mfordmus@bitstream.net for reservations. PLEASE NOTE: Admission for the Nicollet Island concerts does not begin until 9:45. Our staff and volunteers appreciate time to set up and prepare for the concerts. 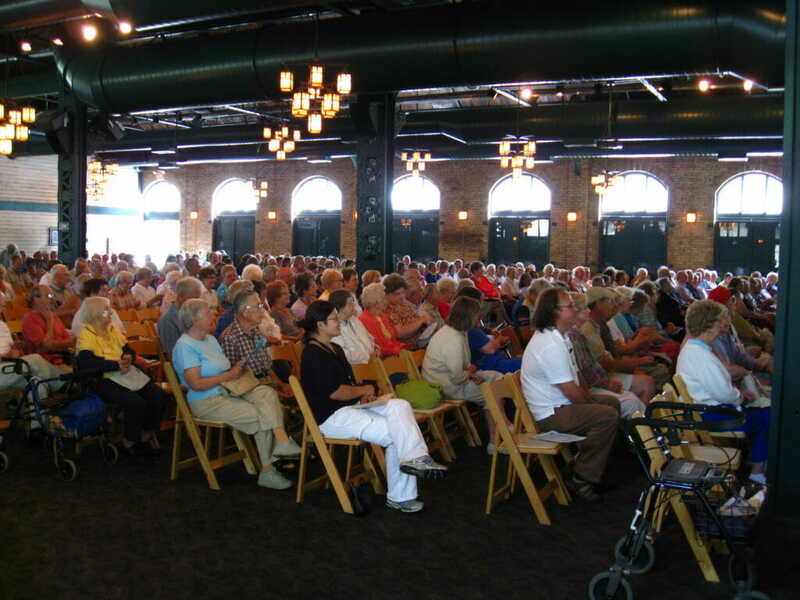 The Pops presents Free Concerts for Seniors at the historic Nicollet Island Pavilion each summer. 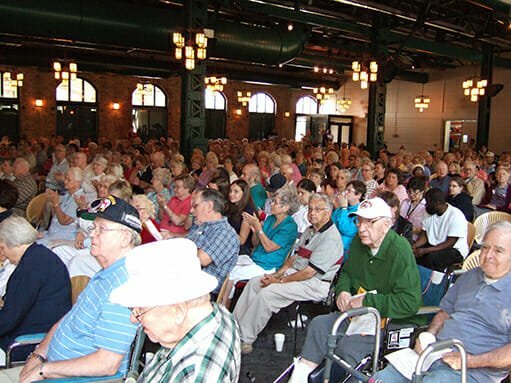 Seniors are invited from throughout the Twin Cities via email and free busing is available. Complimentary beverages, treats, and door prizes are provided. The value of this project is clearly illustrated by the fact that the 350 reservations available for each Nicollet Island concert are taken months before the concerts begin and an additional 150 walk-in patrons fill the venue to capacity for each concert. “Minneapolis Pops Orchestra musicians are proud to share the stage with student musicians for yet another Kids Play concert! 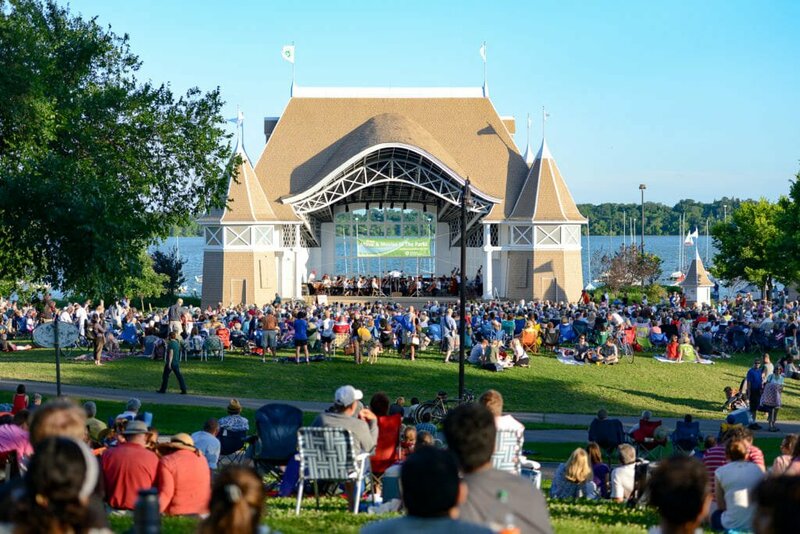 The 2019 Kids Play concert will be held on July 20th at the Lake Harriet Bandshell with weeknight rehearsals in the evenings of July 15-19. Our Kids Play concerts are an annual favorite with Pops Orchestra audiences. They are often the best-attended concerts of the season, so come early to get a great seat! The Minneapolis Pops Orchestra first hosted its annual Kids Play concert in 1999, and the concerts have been growing in quality and popularity ever since. Since its inception, over 500 students have performed on stage with the Orchestra through the Kids Play program. Each year, Kids Play offers area high school students the opportunity to play an eclectic mix of fun and exciting symphonic masterworks and pops repertoire. Kids Play selections since 2013 include: overtures by Shostakovich and Rossini; Russian Sailors Dance from The Red Poppy by Reinhold Glière; movements from symphonies by Dvorak, Tchaikovsky, Brahms, and Sibelius; Nimrod from Enigma Variations by Edward Elgar; waltzes by Johann Strauss II; selections from Carmen by Georges Bizet; movie music from Raiders of the Lost Ark by John Williams and Pirates of the Caribbean by Klaus Badelt; and music by Duke Ellington. For more information, and to request a place in the orchestra, please contact Conor O’Brien at conorviolin@gmail.com.